Once again, some idiot threw something up on stage at Lil Wayne while he was performing to which he stopped the show to explain why it is not acceptable. You can see the footage below! What’s crazy is that this happened in Sydney last month, Idaho last year, Dublin in 2013, New Jersey in 2013, Cape Town in 2011, and numerous other times, but it always seems to happen when Weezy is performing “A Milli“? 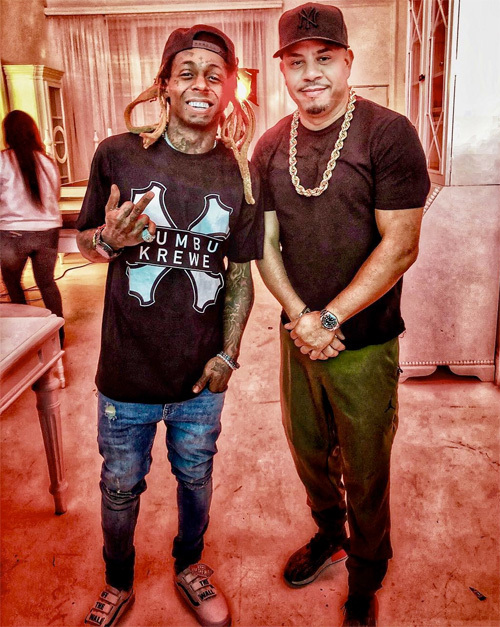 A few days ago, Lil Wayne shot a new project with video and movie director Eif Rivera. The shoot took place at Photopia Studios in Miami, Florida. You can see a behind the scenes clip and a photo below. 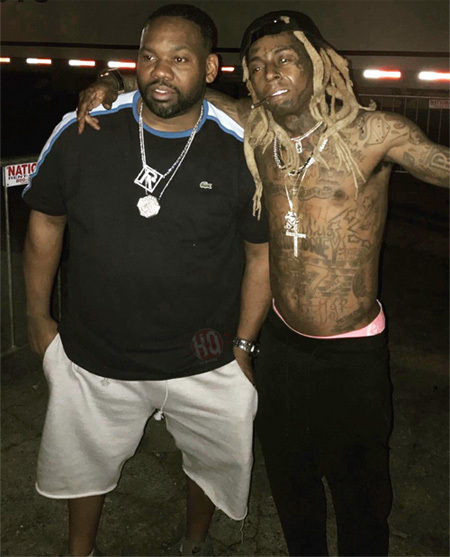 There is currently no word on what project Weezy and Rivera were shooting, but it looks like it may of been something for Bumbu Rum! 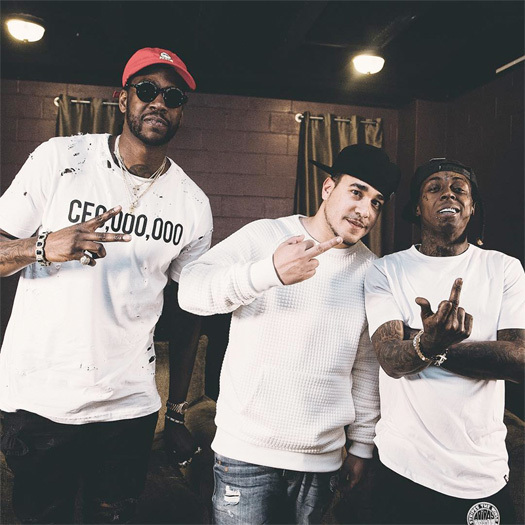 It has been confirmed that 2 Chainz and Lil Wayne will be shooting music videos for their “Gotta Lotta” and “MFN Right” collaborations in Miami, Florida. The Talent Direct Agency have put out a casting call looking for a female lead, extras, and dancers for the visuals, which you can read after the jump below. 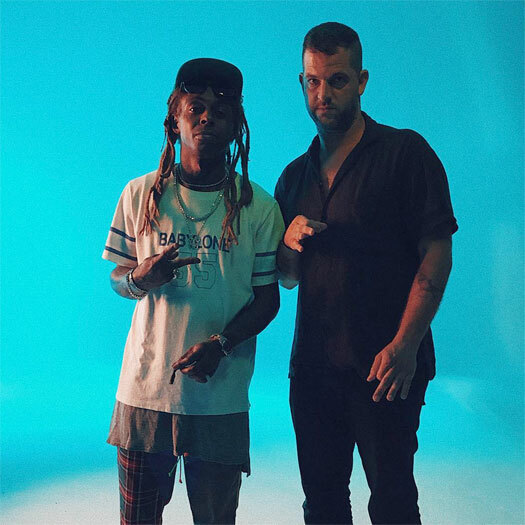 It’s not been confirmed which versions of the songs are being shot, but hopefully it’s the extended version of “Gotta Lotta“ that has a new Weezy verse and the remix of “MFN Right“! 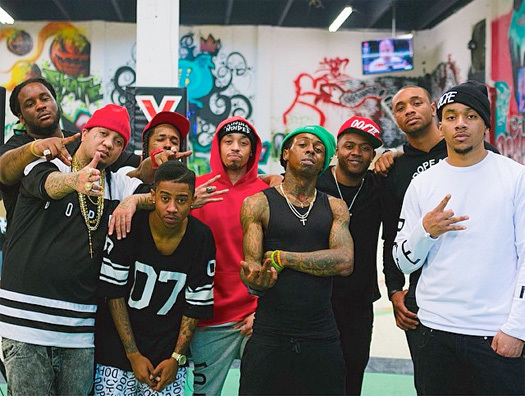 During this past week, Lil Wayne and Young Money‘s Cory Gunz, Euro, Flow, Gudda Gudda, Hood, Lil Twist and Mack Maine, as well as DJ E-Feezy, all got together for a mystery shoot at a skate park on February 11th. It has now been confirmed that Weezy and his YM artists were taking part in an interview and a cypher with Karen Civil‘s “Civil TV”. There is currently no date as to when this interview and cypher will be released, but hopefully it’s soon. You can view some more photos from this secret shoot after the jump below. This should be interesting! 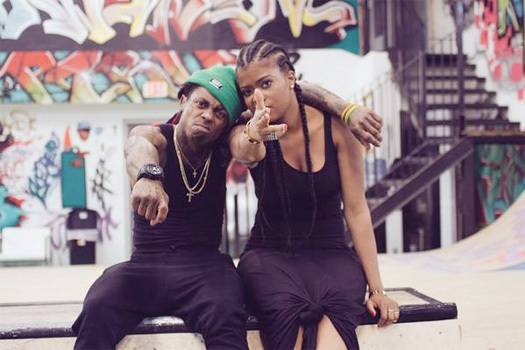 It looks like we can be expecting something new from Lil Wayne, Young Money, and Karen Civil soon! Karen posted up a few photos (see them below) of her on set of a mystery shoot with Weezy at a skate park yesterday. Wayniacs what do you think they were filming?